J-14 Exclusive: The Audition’s “You Ruined This” Video Premiere! J-14 is psyched to bring you the exclusive premiere of The Audition's new music video for their latest single, "You Ruined This." The Chicago-based band shot the vid in a real castle in Los Angeles! "It was so much fun just being able to roam and search the castle between takes," singer Danny Stevens tells J-14. "I'm surprised we actually got anything done with how amazing this house was to roam around in!" 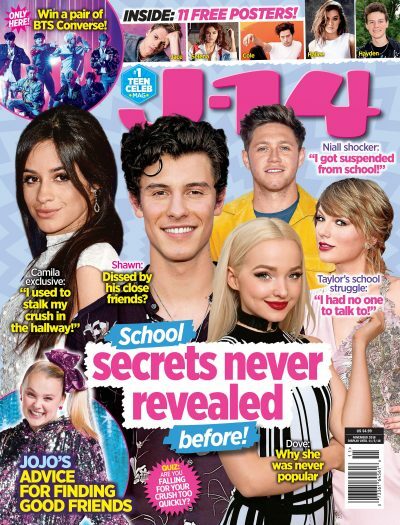 Danny tells J-14 he loved "acting" for the vid. "It was fun to do something aside from the normal performance shot — showing a bit of ourselves and personalities was a lot of fun!" he says. What do you think of "You Ruined This?"